Wonderful, remodeled, central Scottsdale condo near all shopping, and entertainment, and adjacent to two golf courses. We are also near the new Arizona Diamondbacks & Colorado Rockies spring training facilities as well as near the San Francisco Giants spring training home. This fully furnished condo has everything needed for a short term stay or a longer term rental including all housewares and linens. The property is beautiful with lush landscaping, two pools, and two jacuzzi's. You will feel like you are at home. 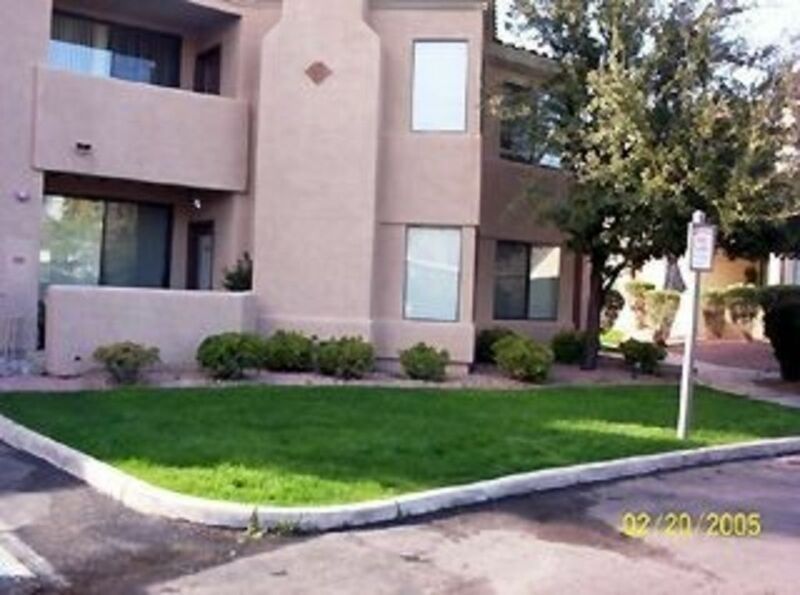 This townhouse is comfortable, spacious, secure, gated, quiet and well located in the middle of Scottsdale. We have been coming here for years and we always enjoy our stay. The owner is nice and friendly, however unwilling to work with us on our issues. There were clothes and shoes in every closet, someone is living there while renting out the property. I asked owner and he said it was not true, but there was too much stuff there for it to be just "storage", there was even food in the fridge still. The details say 3 rooms with queen bed in each room. The master bed was fine; in the 2nd bedroom the frame of the bed was broken so it folded in on my other friend when laying down, and the 3rd room was just two twin beds (that were not of equal height) that were pushed together and taped together to look like a queen bed. Of course when you are laying on it, you can feel the huge lump in the middle where one bed is higher than the other bed, and as an adult, a twin bed is not gonna work! The accommodations were also not that great- worn down, not updated, and to add the HUGE awkwardness of staying in someone else's place with their personal stuff EVERYWHERE. We left the property to find other accommodations, would not suggest to anyone. Great rental with a great price! Andrew, the property manager, was very responsive and accommodating. The condo met our expectations and was perfect for our trip. Note that the description lists 5 beds, but there are only 4. It also lists a check-out time of 11AM, but the official check-out time is 10AM unless other arrangements are made with Andrew. We would definitely recommend this condo to other travelers. We found it very comfortable for our stay. Thanks, Andrew! This Sienna Condo was a wonderful home for us for a week recently. The unit was just minutes from Old Town and had everything we needed. Andrew was excellent with communication and we would absolutely stay in this condominium again. Our Sienna Condominiums condo was the perfect place for our group of 6. Everything was as promised, clean, well appointed and comfortable. It made our vacation so much nicer than hotel rooms would have been. There were good places to eat nearby when we didn't want to cook as well as groceries and delis when we did. We enjoyed playing cards a couple evenings around the dining table as well. We visited Old Town Scottsdale, Camelback Mountain for hiking, took in 2 spring training baseball games, 1 university baseball game from our home area team, took a tour to the Grand Canyon and visited the Desert Botanical Gardens. The customer service we received was excellent and we would defintely recommend this to others and stay again. Scottsdale is a leading vacation destination with 300 days of sunshine and a comfortable dry climate. Scottsdale is also world renowned for it's restaurants, shopping, entertainment, and nightlife ... not to mention fantastic golf with well over 100 courses in the metro area and numerous MLB spring training facilities. A short 15 minute drive from the airport, the property is centrally located to everywhere in the valley.